This recipe for DIY House Cleaner is the perfect recipe to replace all of your home cleaning products. If you were to look at all of the different house cleaning products in your home how many would you find? 5? 10?? 15???. 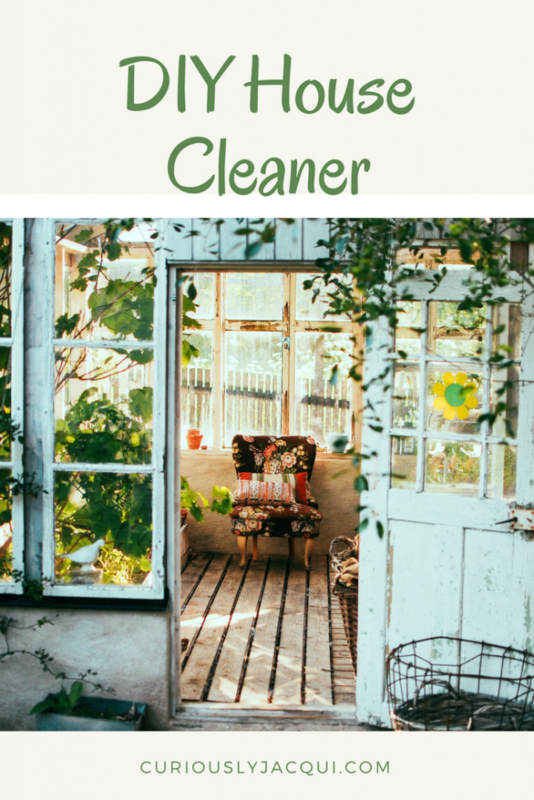 I know that before I found this recipe I had several cleaners for the bathroom, a few for the kitchen and others for miscellaneous purposes for other areas in the house. Plus, you probably have ones for outside as well. This recipe can replace all of your cleaners with just one bottle. Also, I know exactly what is in the cleaner so I can be sure what choices I am making for myself and my family. This recipe is so simple and basically costs nothing to make again and again. This recipe does include Dawn Dish Soap and I know that many have opinions on whether or not to use Dawn Soap and if it could be harmful. This recipe doesn’t use very much and you could not use it at all or just use castile soap or something similar if you wish. Top off the bottle with water and screw the lid on tightly. Top the bottle with water and shake to mix it all up. That’s it. Super simple and very cheap to refill. I don’t know about you but this winter we are having here in Michigan has been brutal and it’s only January. It has been snowing like crazy and has been super cold (some mornings as low as -12). 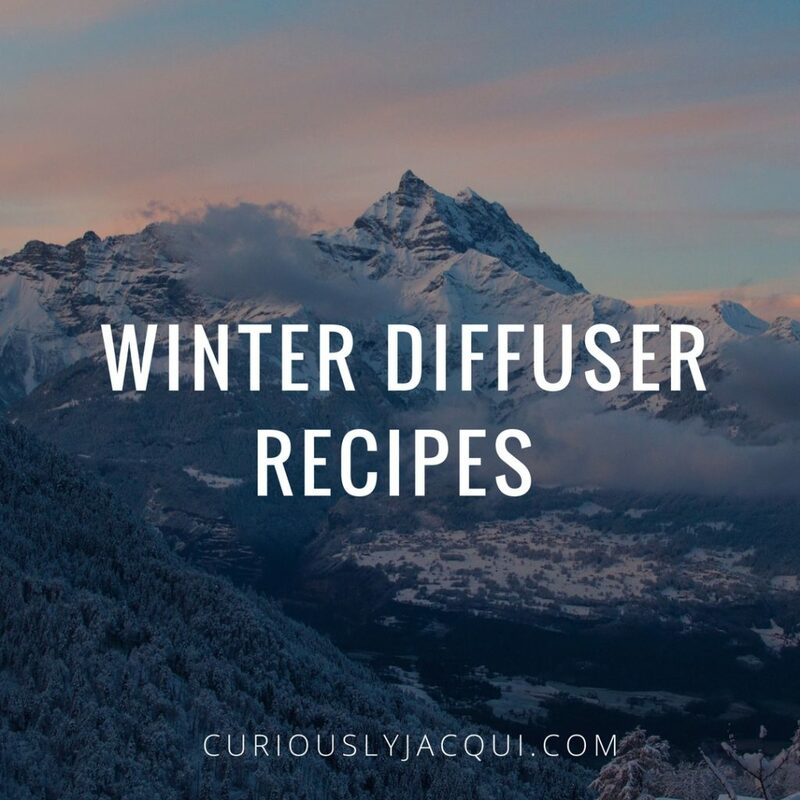 Because of this crazy winter I wanted to find/create some delightful winter diffuser recipes to bring me out of the winter blues and remind me how beautiful the weather really is. All three of these diffuser recipes include some of my favorite essential oils and these blends are so comforting. 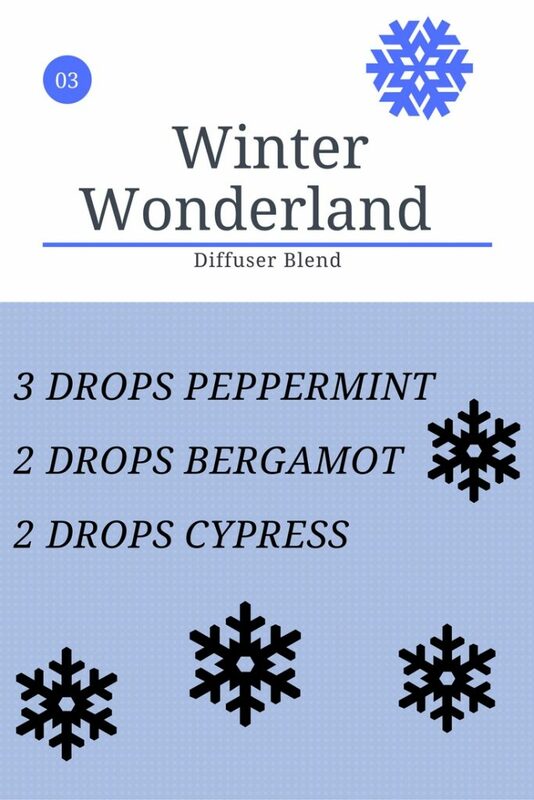 I hope you can find at least one of these blends that help you remember why winter is so beautiful. 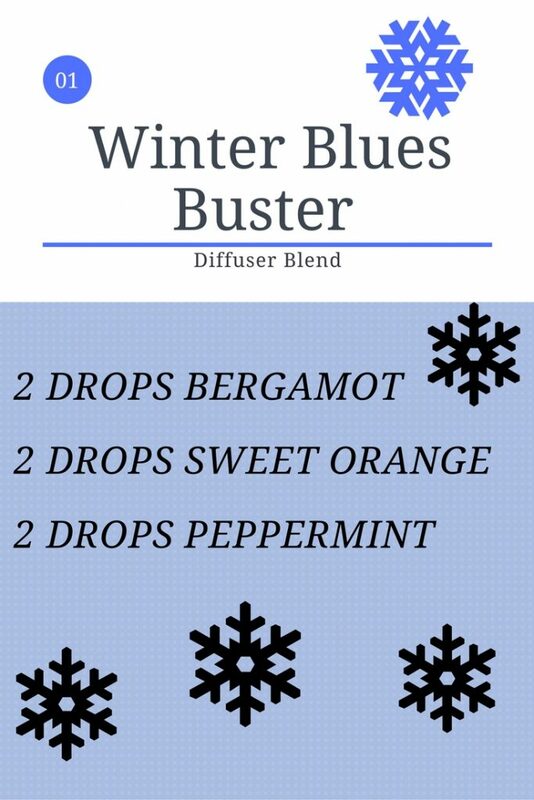 I love diffusing these recipes both while I am at home on a cold, snowy winter morning sipping my coffee or while spending my day at work watching the snow fall from my office. I do want to let you know that all three of these blends utilize peppermint essential oil and from my research peppermint essential oil is not considered safe to be used around kids. Be sure to follow the diffuser recommendations on the bottle of essential oil as some oils should only be diffused for 20-30 minutes at a time. Essential oils are extremely concentrated and you don’t want to overdo it. Use only high-quality essential oils. My favorite brand is Plant Therapy but there a lots of quality brands on the market. Follow the cleaning instructions of your ultrasonic diffuser. Keeping your diffuser clean will result in more effective diffusion of oils into the air and keeps your device working in tip top shape. 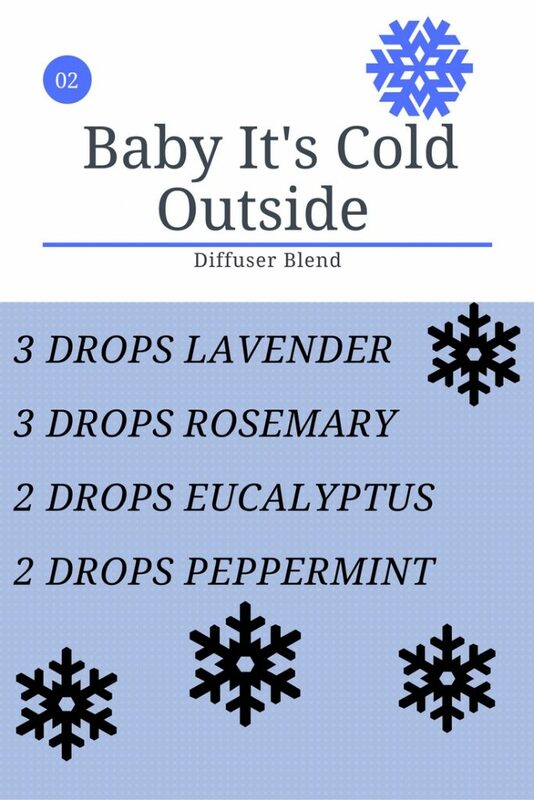 Let me know in the comments below what you think about the blends and what your favorite winter diffuser recipes are. Hand Sanitizers are used as some point by just about everyone and you can find hand sanitizer stations just about anywhere you go. So, since it’s the germy time of year I went on the hunt for something extra to keep the germs away. I use essential oils for support against germs in my diffuser and topically on my feet at night but I wanted something that I can use when I am on the go. Now, obviously it is your best bet to always try to wash your hands but sometimes that isn’t always possible. Have you ever touched something gross on a shopping cart and look for something to clean your hands? 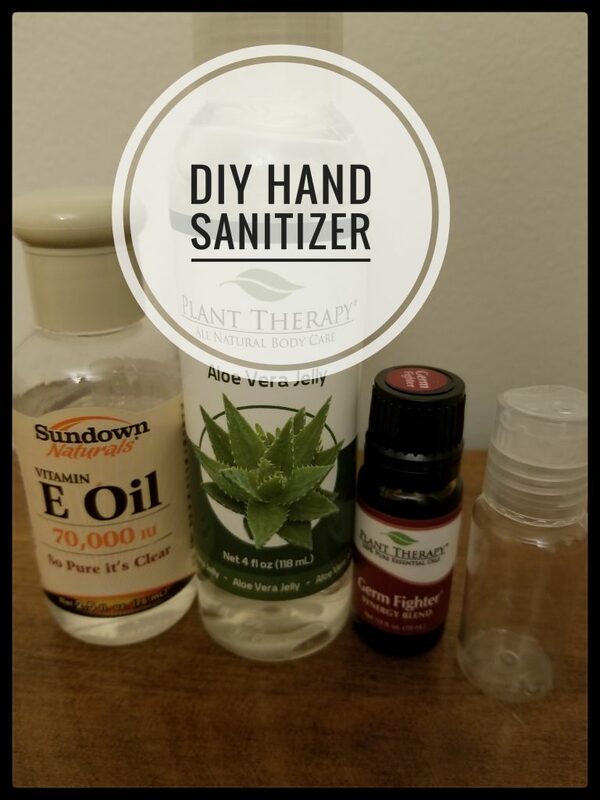 This recipe for hand sanitizer is the perfect go-to for these types of situations and can be kept in your purse or anywhere you would like it. Another reason why I wanted to create my own hand sanitizer is that some of the hand sanitizer you find on the market may not have the best ingredients in them. This recipe does not contain any alcohol. The Germ Fighter Essential Oil Blend is from my favorite oil company Plant Therapy. This blend is not kid safe so if little ones will be using the hand sanitizer or you will be around little ones regularly i would suggest using Germ Destroyer from Plant Therapy instead. 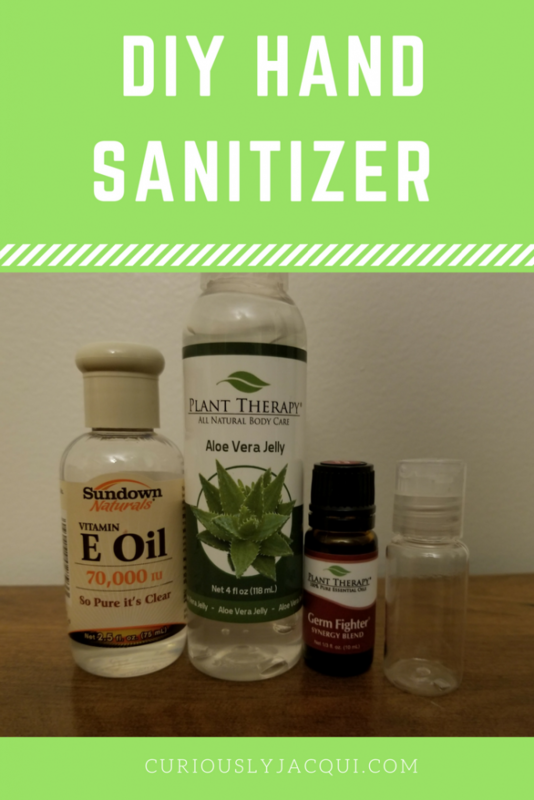 Here is my recipe for a DIY Hand Sanitizer. 8 Drops of Germ Fighter (Plant Therapy) or Germ Destroyer (Plant Therapy Kid-Safe Blend). Shake the mixture well to incorporate the essential oils well. Use a dime size as needed. According to research done by Forbes magazine, more than 40% of Americans make New Year’s resolutions but only 8% of Americans actually keep their New Year’s Resolutions. Typically resolutions typically focus on better health (losing weight, exercising more, etc. ), spending more time with family, new opportunities or quitting a bad habit. In the past I have tried to make New Year’s Resolutions but I don’t recall a time when I was actually able to keep them. 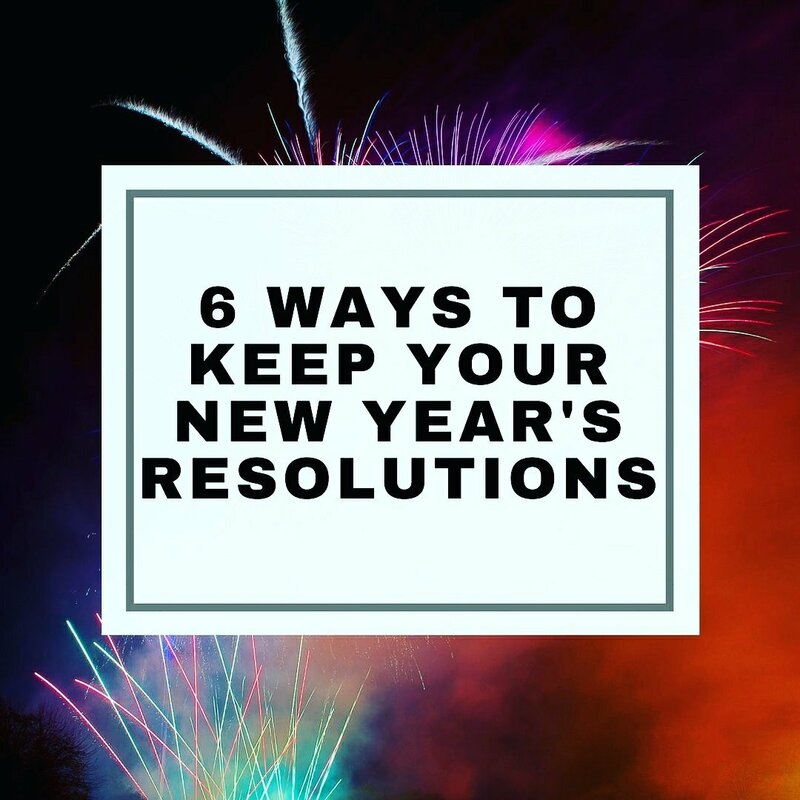 This year I want to make some changes in my life so I created 6 ways to help keep your New Year’s Resolutions. The first step to making changes is to write down your goals. I would encourage you to write them down and put them in a place that you will see them and remember them each day. Maybe you use a planner and you put your goal in there or maybe on a sticky note on your computer, just make sure it is somewhere where you will always be reminded of it. When making your goals be sure to determine your “why”. If you are making a New Year’s Resolution just to say you are making a New Year’s Resolution you are more than likely going to fail. If your goal is to lose weight, why are you doing it? Do you want to live a healthier life? Better your health? Fit into old clothes? Make sure when setting your goals that you know why you are doing it and that you are doing it for yourself. Be sure your resolution is centered around something you are doing for yourself…not for someone else. An important part of your New Year’s Resolution is having a small goals that get you where you want to be. Let’s say your overall goal is to lose weight this next year, such as you want to lose 40 lbs by the end of the year. You want to break up your overall goal into smaller attainable goals, such as you want lose 10 lbs by the end of March, another 10 lbs by the end of June and so on. Another example could be that you want to quit smoking. By the end of the first month you have cut down by x amount of cigarettes a week. Now move on to to the next small goal until you have met your ultimate goal of quitting smoking. By making smaller more attainable goals you are more likely to meet your goal and you won’t get discouraged as quickly. When making a new resolution be sure to plan out the steps that you will need to conquer it. If your New Year’s Resolution is to lose weight write down how you are going to do that. Are you going to change the way you eat, exercise more, or go through a pre-created challenge that includes both eating changes and exercise. Plan out your meals each week so you can get all the healthy snacks and food from the store and can avoid making a bad choice when you are hungry. Plan your exercise routine for the week/month and hold yourself to that schedule. It’s important when making a life change to have someone that can help hold you accountable to your goals. It would be most helpful if you and your accountability partner have the same goals. Are both you and your significant other wanting to get healthier this next year. You will have more success when you are able to share your struggles and accomplishments with someone else. Your accountability partner should help encourage you along the way and be your confidante when you slip up (because that happens and it is completely fine). Even if the closest people in your life don’t have the same goals ask them for help anyway. You could even join a Facebook group for support as well. During the year write down how you are progressing towards your goal. Maybe you are eating better and exercising more. Make sure you keep a record of how you are feeling so later when you want to eat something not great for you can remember how great it felt to eat well. It may also be helpful to journal your exercises and how they are making you feel. You should be able to see how much stronger and healthier you are getting. Going to try this year for a more clean diet. Low carb has kind of worked in the past but isn’t sustainable long term for me. In this next year I really want to grow as a blogger. I want to challenge myself to blog on a more consistent basis and continue to get better at writing. Let me know in the comments below what your New Year’s Resolutions are.